For college-bound guys, making a great first impression and putting their best face forward on campus is essential to winning over the girls AND the professors this year. Whether you’re starting undergraduate business school or any other program, making a positive first impression is of uppermost importance. 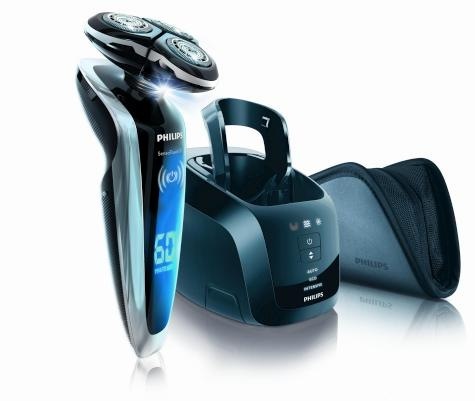 Philips Norelco, the leader in electric shaving and grooming, has the perfect tools to nail that style and complete guys’ list of dorm room must-haves. Norelco’s cutting-edge line of high-tech electric shavers and groomers give the closest, most convenient and skin friendly results while “shaving” tons of time off the morning grooming routine. So you won’t have any excuses for rolling out of bed and into class unkempt. Below are suggested products for any budget or style that will help guys master their look so they have the ability to take on that first day of school with confidence and look the part. I’m currently using the SensoTouch 3D, which is Norelco’s most advanced electric shaver on the market. This bad boy is the Cadillac of electic shavers! Not only is it beautifully designed and features an LED numeric display, it also has GyroFlex 3D for extreme face contouring, UltraTrack heads to catch different length hairs at the same time and SkinGlide, which ensures little to no skin irritation. Penn State: This Is Not Collateral Damage, It’s Just Damage!